An outline of basic medical coding guidelines. Learn the most important rules for being an effective, compliant, and competent medical coder. State and federal governments have laid out a number of specific rules to govern medical coding. These rules make sure that patients are treated correctly, insurance companies only billed for services rendered, and doctors paid correctly and in a timely manner. Because the system is so complex, and involves many different parties, it is essential for everyone to stay in compliance with these medical coding guidelines. Many insurance companies follow a set of guidelines put forth by the Centers for Medicare and Medicaid Services, otherwise known as CMS. This is a national agency that puts forth many regulations on the medical industry. Although CMS does not police the medical field, many insurance companies and medical providers use their guidelines as a basis for their medical office and billing practices. National medical associations, such as the American Medical Association and the American Dental Association, also put out guidelines, which they publish for the benefit of both providers and insurance companies. The most effective way to learn more about billing and coding is by taking courses. Alternatively, look for billing and coding colleges in your area. Other specialty associations, such as the American Academy of Pediatrics and the American Academy of Dermatologists, also put out special guidelines. These are specifically designed to fit their specialist medical field. These associations put out all the medical coding guidelines to help regulate the ways medical providers care for their patients, as well as how medical facilities code patient visits. They also provide suggestions to insurance companies as to which codes they should pay for and why. 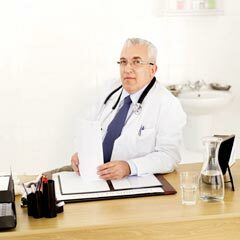 Medical providers are licensed through the state and overseen by state departments of health and insurance. But it's really the guidelines set forth by CMS and various medical associations that regulate how providers practice their medicine and bill either the patient or the insurance company. See our guide to important medical billing associations. The specificity of the diagnosis code: Each diagnosis code has to be coded to the highest level of specificity, so the insurance company knows exactly what the patient's diagnosis was. The correct reporting of procedure codes: There are too many rules and regulations to go into here. There are specific ways to code each visit, which help identify the service that was provided to the patient. Reasonable and customary charges: Regulating bodies also suggest that providers charge only "reasonable and customary" rates for their services. This prevents over-inflation of medical fees. Procedure code modifiers: When certain procedure codes are sent on the same claim form, they sometimes require medical billing modifiers, which help differentiate between the codes that were charged on the date of service. There are also regulations put forth by state agencies, such as your state department of health, or state medical association, which regulate the legal side of patient care and insurance. Effective coders have to manage these guidelines while also making sure the patient's record is accurate and the claim is sent with the correct codes. Failure to follow coding guidelines can result in untimely payment, medical records requests, and denial of claims. See: what to do about a denied claim. Successful medical coders learn and follow coding guidelines and use them to their benefit. Often if a claim is denied incorrectly, medical coders and billers use coding guidelines as a way to appeal the denial and get the claim paid. To see a full manual of the current guidelines click here, or to learn more about medical coding see our history of medical coding.